Hyderabad: All India Majlis-e-Ittehadul Muslimeen (AIMIM) today said it will contest the upcoming Bihar State Assembly elections from Seemanchal region. MIM chief Assaduddin Owaisi said his party will contest the election but will limit itself to Seemanchal region, which comprise mainly four districts – Araria, Purnea, Kishanganj, Katihar. “We are limited to Seemanchal area of Bihar. We are realistic about our chances of winning. We know our strengths and weaknesses. It is in the interest and justice of Seemanchal region we are contesting elections there,” Owaisi said without disclosing the number of seats his party will contest. He replied in the negative when asked about the pre-poll alliance with other parties. “Bihar’s development parameters are bad. But when it comes to Seemacnhal it is worse. That’s why we want the government to set up a regional developmental council under Article 371,” he said. Owaisi held Congress, BJP, Nitish Kumar and other parties as responsible for the underdevelopment of the region. When asked about the division of votes when the party contests without any alliance, the MIM leader said the NDA won with great majority even when his party was not in the poll fray in Jammu and Kashmir and local body elections of Rajasthan. “Did I contest in Delhi elections? Did I contest in J&K elections. Did I contest in Municipal elections of Rajasthan? This is a wrong allegation which has no relevance. So-called secular parties have lost their credibility,” he said. MIM, which has two seats in the Maharashtra assembly, has appointed Akhtar Imam as president of AIMIM’s Bihar unit. Bengaluru: Ahead of the BBMP polls scheduled to be held on Saturday, Aug 22, AIMIM supremo Asaduddin Owaisi hit out at the state Congress government for ‘deliberately’ trying to impose restrictions on his entry to Bengaluru city and impeaching his constitutional rights to free movement. Owaisi said that as a member of parliament, he has constitutional rights to enter any place in the country, and Congress has no rights to stop him entering the city. He said he and his party are here to stay, and will not go back from Bengaluru. He announced his party’s intention to participate in the next assembly elections in the state. Earlier on Tuesday Justice A.S. Bopanna had issued the direction while rejecting AIMIM’s plea for a direction to the authorities to grant permission for its public rally that was scheduled for August 11 at Chota Maidan in Shivajinagar. Bengaluru: The Karnataka High Court has said the returning officer will have to take inputs from the city police before granting permission to the All India Majlis-e-Ittehadul Muslimeen (AIMIM) to organise a rally ahead of the Bruhat Bangalore Mahanagara Palike elections. Justice A.S. Bopanna on Tuesday issued the direction while rejecting AIMIM’s plea for a direction to the authorities to grant permission for its public rally that was scheduled for August 11 at Chota Maidan in Shivajinagar. A jurisdictional returning officer on August 6 had granted permission to AIMIM to hold the rally at Chota Maidan between noon and 10 p.m. on August 11 on the condition that it should obtain permission from the city police. The police, however, refused permission on the grounds of participation of AIMIM president Asaduddin Owaisi, who was earlier this year barred from entering the city. The retuning officer, on August 10 passed a fresh order cancelling the conditional permission granted earlier. Observing that the view of the police on law and order and threat perceptions would be important for the returning officer to decide on granting permission, the court said AIMIM could seek permission from the returning officer, the police under the Karnataka Police Act and from the owners of any other venue. 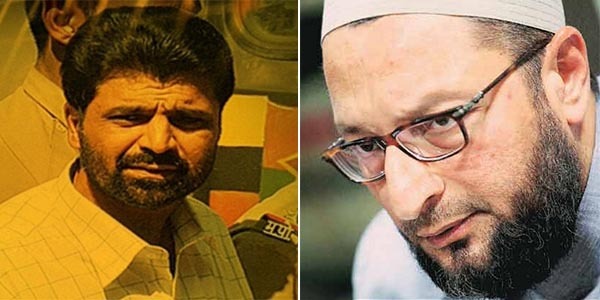 Hyderabad: AIMIM chief Asaduddin Owaisi alleged that the then Narendra Modi government in Gujarat had asked the prosecution not to press for death sentence of former minister Mayaben Kodnani and Bajrang Dal leader Babu Bajrangi, convicted in 2002 post-Godhra riot case. The Hyderabad Lok Sabha MP questioned whether those responsible for killing people during riots should get death penalty. “Kodnani and Babu Bajrangi were convicted by a court which sentenced them to life imprisonment in connection with the killing of 92 persons. The prosecution wanted capital punishment. But Modi, who was then Gujarat chief minister, asked prosecution not to appeal against the ruling (in HC) and let the punishment be life sentence,” the All-India Majlis-e- Ittehadul Muslimeen (AIMIM) leader alleged. “Shouldn’t those who killed 92 persons get death sentence?” Owaisi asked. He was addressing a public meeting here Saturday night on the occasion of 7th death anniversary of Sultan Salahuddin Owaisi, former president of AIMIM. During his speech, Asaduddin, who had recently suggested that 1993 Mumbai blasts convict Yakub Memon was awarded capital punishment because of his religion, read out a media report against the death penalty. “Is it not true that Punjab chief minister Parkash Singh Badal had met then President Pratibha Patil with a mercy petition seeking clemency for Rajoana (assassin of former Punjab CM Beant Singh)?” he said. Asaduddin challenged the BJP, which shares power in Punjab with Shiromani Akali Dal, to hang the killers of Beant Singh. The AIMIM leader said Babri Masjid was demolished in 1992 but that case is still dragging on. Mumbai: In a contemptuous attack on the BJP led government for its decision to hang 1993 Mumbai blast convict Yakub Memon, Parliamentarian Asaduddin Owaisi Wednesday wondered if the same punishment will also be given to the perpetrators of Babri Masjid demolition, Mumbai and other riot convicts, and Hindutva terrorists. “Why haven’t the perpetrators of Babri Masjid demolition been convicted, and will they also be given the capital punishment, as that (demolition of the Babri Masjid) is the original sin”, Owaisi, a barrister who is the president of the All India Majlis-e-Ittehadul Muslimeen (MIM), said while talking to ummid.com on phone. Owaisi was commenting on the hanging of Yakub Memon which is slated on July 30 – his birthday. Yakub Memon – a Chartered Accountant, had surrendered with his family members before the Indian authorities after the 1993 Mumbai blasts which had killed over 250 people. The series of blasts took place soon after the deadly riots that followed the demolition of Babri Masjid by Hindu fanatics. 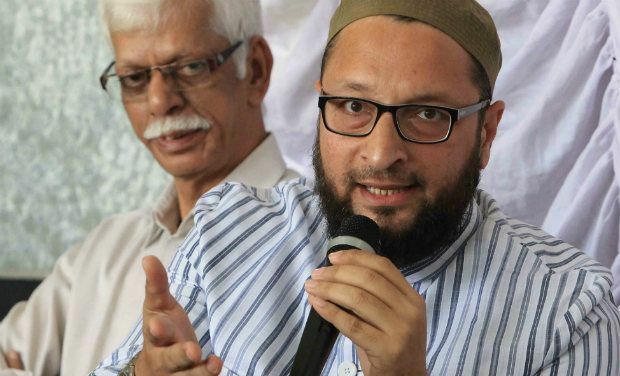 Owaisi however declined any comment on Supreme Court’s decision to dismiss Memon’s curative petition saying, ‘it exonerated the Muslims accused in the Akshardham terror attack’. Owaisi also asked if the Hindutva terrorists – now in jail for their involvements in the Samjhouta Express, Malegaon, Hyderabad Makkah Masjid and Ajmer blasts, will also be given the same punishment as Yakub Memon. “Will Sadhvi Pragya Thakur, Col Purohit and Swami Aseemanand get capital punishment. This is upto the NIA to prove their guilt in courts”, Owaisi said. Drawng parallel between Mumbai blasts and Rajive Gandhi assassination, Owaisi said the killers were shown mercy because they have political backing. “Rajiv Gandhi and Beant Singh killers have backing of political parties. That is why they have not been sent to gallows”, he said. Owaisi also said that Maya Kodnani and Babu Bajrangi – both convicted to life for killing 97 Muslims during the 2002 Gujarat riots, but the Modi government did not allow appeal to enhance their punishment to death. Hyderabad: AIMIM president and Hyderabad MP Asaduddin Owaisi has kicked up a row by questioning the Bharat Ratna and Padma Vibhushan awards being given to former Prime Minister Atal Bihari Vajpayee and BJP patriarch L K Advani. How can the country’s second highest civilian honour, Padma Vibhushan, be given to Advani who was facing criminal cases (in connection with the Babri masjid demolition), Owaisi said here at a book release function last night. “The same L K Advani who spread destruction in the country with his ‘Rathyatra’…This could probably be the first instance of Padma Vibhushan being given to a person who is facing criminal cases,” the All India Majlis-e-Ittehad-ul Muslimeen leader said. As to Vajpayee, Owaisi alleged that the BJP stalwart had made some controversial comments on the Ayodhya issue, the videos of which were available on the YouTube. “Have we forgotten December 5 (1992)? The same Atal Bihari Vajpayee who had said ‘we are going to level the ground’ (has been now given the Bharat Ratna),” he claimed. Mysuru: All India Majlis-e-Ittehadul Muslimeen (AIMIM) president and Member of Parliament Asaduddin Owaisi on Saturday said that his party would field candidates in the upcoming elections to the Bruhat Bangalore Mahanagara Palike (BBMP). The Hyderabad-based party had performed well in the elections to the Aurangabad Municipal Corporation held recently. Owaisi, who is on a private visit to the city, hit out at the Congress and the state government for imposing a ban on his entry to Bengaluru city. The emergence of AIMIM in Maharashtra has started to haunt the Congress, Owaisi said and added that the party (Congress) had not learnt a lesson from the poll debacle in Maharashtra. In an interaction with media persons, he said that Muslims and dalits face common issues like poverty, high rate of school dropouts, less graduates and social discrimination. Owaisi said that there was no law and order problem after he addressed a meeting near Bhatkal in Uttara Kannada district. Owaisi said that he has appealed in the High Court against the ban order. “I can speak in the Indian Parliament, but not on the streets of Bengaluru… they are afraid of me,” the MP added. “If they (Congress) have done so much (for dailts and Muslims), why is that in 2009 and 2014 elections not even a single Muslim was elected to the Parliament from Karnataka…How many Muslim MLAs are there in the Assembly…?” he asked. He charged that successive state governments have failed to develop areas with a large Muslim population in the Hyderabad-Karnataka region of the state like Kalaburagi, Bidar and other places. Mumbai: Former Maharashtra Chief Minister Narayan Rane today lost to ruling Shiv Sena’s Trupti Sawant in Bandra (East) Assembly bypoll, his second consecutive defeat in six months, raising questions over his fate in Congress. NCP nominee and late R R Patil’s wife Sumantai Patil won in Tasgaon-Kavathe Mahankal Assembly constituency of Sangli district by over 1.12 lakh votes as the Sharad Pawar-led party retained the seat. No major party had put up candidate against her. 63-year-old Rane, who joined the Congress in 2005 after being expelled from Shiv Sena, has ironically tasted defeat in the constituency which is the home turf of Sena founder late Bal Thackeray and where party chief Uddhav Thackeray now resides at ‘Matoshree’. Trupti Sawant, whose husband Bala Sawant’s death necessitated the bypoll, secured 52,711 votes, retaining the seat for Sena. Rane garnered only 33,703 votes, losing by a margin of 19,008 votes. All India Majlis-e-Ittehadul Muslimeen (MIM) candidate Rehbar Khan was a distant third with 15,050 votes. This is the second defeat within six months for Rane, who lost last year’s Assembly polls from his home turf Kankavali in coastal Konkan region. Shiv Sena workers celebrated the defeat of the Congress heavyweight outside his residence and ‘Matoshree’ by bursting crackers, waving saffron flags and shouting party slogans. “I do not know what will happen to Rane’s career now but it is anybody’s guess. We were confident of Trupti Sawant’s victory. We have once again shown that there is no place for political opportunism in the country,” Sena MP Arvind Sawant told reporters here. It was the first electoral test for the BJP-Shiv Sena combine which formed the government after contesting the polls as rivals last year. Despite strains in their ties over a host of issues, BJP and Sena projected a united front to fight the Congress. Sena, for which the outcome is a morale booster as it came a year ahead of the crucial Mumbai municipal elections, bettered its performance over the last Assembly election by polling 11,827 more votes. NCP chief Sharad Pawar had also campaigned actively for Rane. For MIM, which claimed that it had turned the fight in Bandra (East) into a triangular one, the result showed a sharp decline compared to the 24,000 votes polled by its candidate in the last election. Knives are already out for Rane as his outbursts have riled many within the party. He made adverse remarks over the AICC’s decision to appoint former Chief Minister Ashok Chavan as the MPCC president. On former MP Sanjay Nirupam being appointed as MRCC chief, Rane had said he was not a suitable candidate for the post and had even raked the Congress leader’s ‘north Indian’ origin. “Rane should leave politics for his two sons, who are already active in politics,” BJP minister Girish Mahajan said. Rane’s one son Nilesh is a former Lok Sabha member while the other Nitesh is a Congress MLA. Former AAP leader Anjali Damania suggested that Rane should take “political sanyas” after two consecutive defeats. If Rane had won the bypoll, it would have given the state Congress an aggressive face to take on BJP and Shiv Sena, according to observers. As chief minister (February-October 1999) in the Shiv Sena-BJP government and subsequently as revenue and industries minister in Congress-NCP government (2006-2014), Rane is known for his hold in administration. Not one to mince words, Rane often landed himself in trouble with his uncharitable remarks against the Congress leadership. In 2008, he was suspended from Congress for adverse comments against AICC leaders following their decision to make Ashok Chavan the Chief Minister to replace Vilasrao Deshmukh, who was removed following the 2008 terror attacks in Mumbai. The party position is the Assembly remains unchanged as both the Sena and NCP have retained their seats in the bypolls. 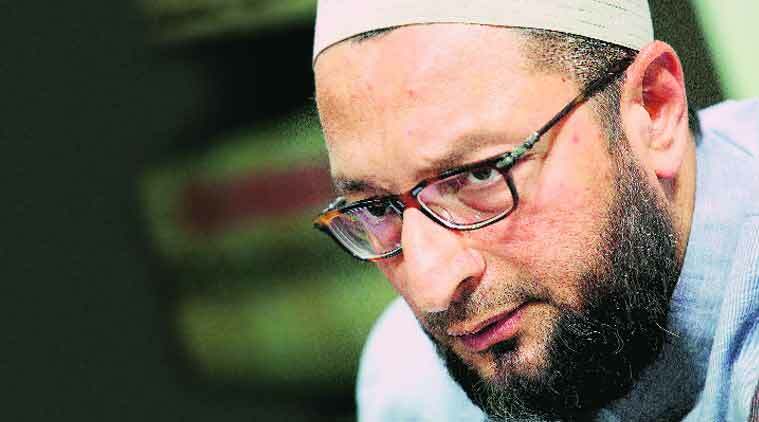 Hyderabad: Hitting out at Shiv Sena leader Sanjay Raut for demanding revocation of voting rights of Muslims, AIMIM president Asaduddin Owaisi today said the BJP cannot dissociate itself from his statement and asked it to take action against him. “He (Raut) has no right whatsoever to seek such a revocation of any Indian. 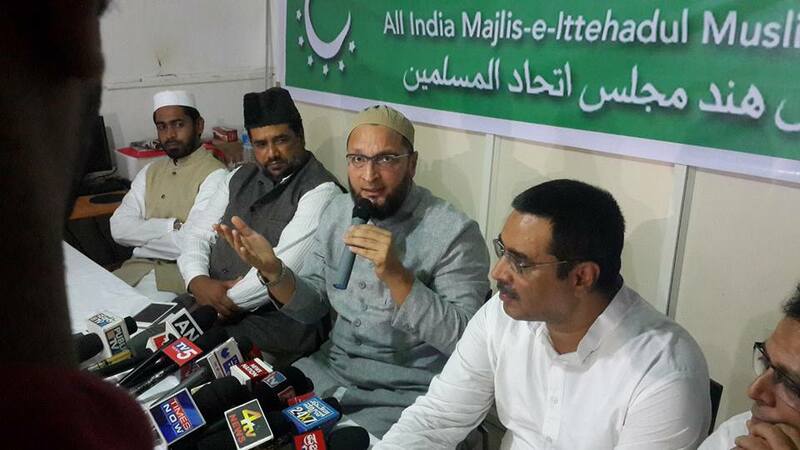 He has no right whatsoever, leave aside Muslims,” Owaisi told PTI here. “The real agenda of fascist Hindu forces is being exposed now. Their ideology is to promote hatred. Shiv Sena is not just an ally of BJP, but they are sharing power. Now does the ruling party (BJP) share the same views?” the MP from Hyderabad sought to know. “They (BJP) cannot disassociate saying it’s an individual opinion and he (Raut) is a fringe element. They should take action. He is not a fringe element. He is the main element. When PM (Narendra Modi) speaks at a UN forum (during his ongoing foreign visit), their ally speaks like this,” he said. Owaisi said the comments of Raut, the editor of Sena mouthpiece ‘Saamana’, are also an embarrassment to union ministers Najma Heptulla and Muqtar Abbas Naqvi as their voting rights are also sought to be revoked if one goes by Raut’s argument. Shiv Sena had yesterday courted controversy by demanding scrapping of voting rights of Muslims, saying the community has often been used for vote bank politics, evoking sharp reactions from several political parties which accused it of trying to inflame passions and divide people. “Vote bank politics is being played in the name of fighting against the injustice meted out to Muslims. Their educational and health status is being used politically. This politics was once played by the Congress and now every other person calls himself secular,” an editorial in ‘Saamana’ yesterday said. Under attack, the Sena later sought to downplay the issue, contending that the party is against “appeasement politics”. Agra: All India Majlis-e-Ittehadul Muslimeen (AIMIM) Chief Asaduddin Owaisi has been denied permission to hold a meeting here on March 29. The district administration of Agra took this decision on the basis of intelligence reports which suggested this could lead to trouble after Hindutva organisations had openly declared they would not allow Owaisi to hold his meeting at the scheduled Kothi Meena Bazar ground. A memorandum by the Bajrang Dal, Vishva Hindu Parishad (VHP) and the Hindu Jagran Manch workers forced the administration to take the step. However, district administration official Rajesh Srivastav said permission cannot be granted in view of the ongoing final examinations. AIMIM’s district chief Idrish Ahmad said the district administration had accepted his affidavit a few days ago to consider permission for the meeting, but changed its mind under pressure from some organisations.